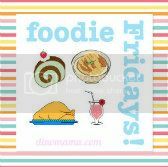 In my last week's Foodie Fridays Spicy and Sour Fish Head Curry post, I mentioned that DinoPapa cooked up a Peranakan feast. 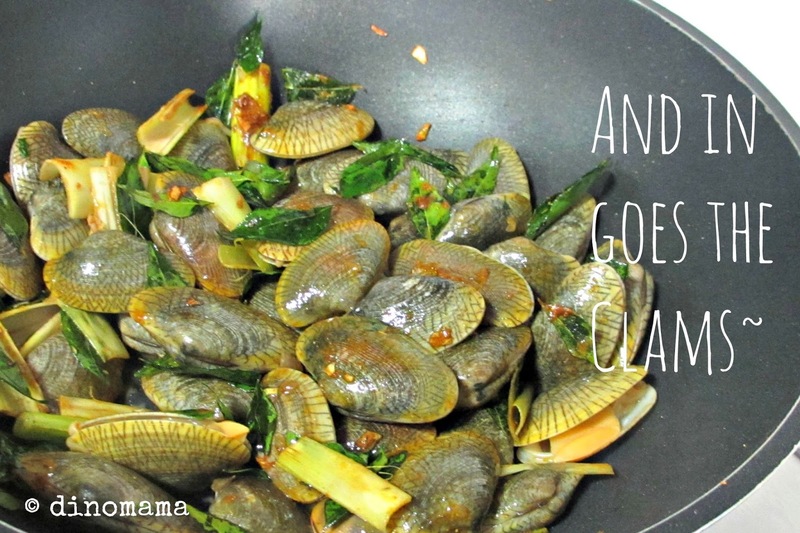 I'm sharing with you the 2nd dish that he cooked for the first time, Stir-fried Curried Clams. This is a quick and easy dish that takes only 20 mins to prepare and 10 mins to cook it. 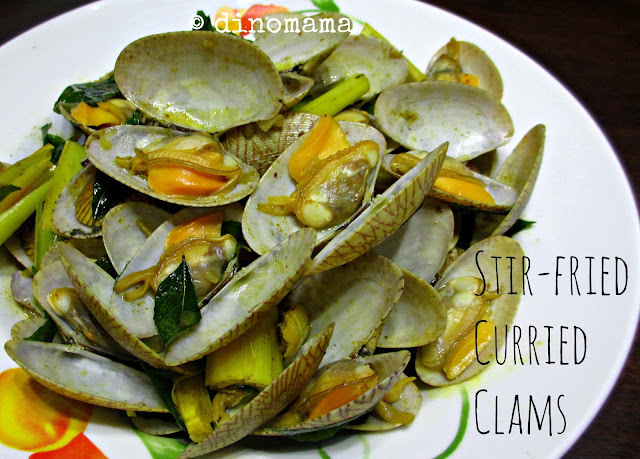 We love this dish because the spices enhances the natural sweetness of the fresh clams, the curry paste is mild thus it is not too over whelming but you can still smell its aroma. 1. 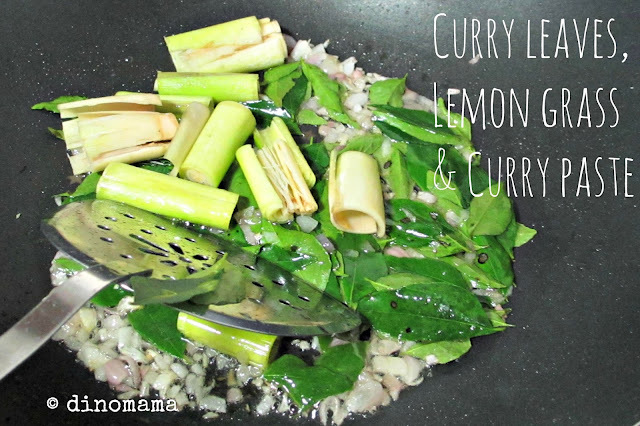 Heat the cooking oil and fry curry leaves, curry paste and lemon grass until fragrant. 2. Add the clams. Season with salt, sugar, pepper and soy sauce. Cook until the clams open (approximately 7 mins). Discard the clams which are still closed. 3. Garnish with bird’s eye chillies and spring onions (scallions) and serve hot. So that is how curry leaves look like. Does using fresh leaves taste like the curry powder or curry paste? Hi Jenn, the curry leaves just add a little bit of curry flavour not exactly taste like curry powder or paste since these need some other spices and ingredients into it.